President Park Geun-hye said Friday she will accept an investigation over a sprawling corruption scandal involving her close confidante "if necessary," raising the prospect of her becoming the first sitting South Korean head of state to face a prosecutorial probe, source from Yonhap. During a nationally televised address to the nation, Park renewed her apology for the political scandal involving Choi Soon-sil that has sent her approval ratings into free fall and state governance into disarray, and promoted nationwide calls for her resignation. 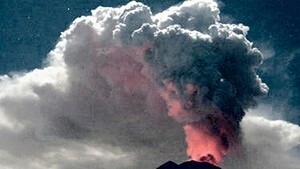 Friday's nine-minute address followed her terse public apology on Oct. 25 regarding the scandal. "If necessary, I am determined to faithfully respond to a prosecutorial investigation myself," Park said in a voice choked with emotion, adding she would also accept a special probe by an independent counsel that ruling and opposition parties have been seeking to enact. Park added that she had ordered her secretariat and security staff to fully cooperate with the ongoing investigation. "From now on, the prosecution should not be fettered by anything and must clearly reveal the truth, based upon which it should strictly mete out justice," she said. Park faces accusations that she allowed Choi access to advance drafts of her public speeches and presidential documents, some of which reportedly included confidential information, possibly in breach of a law governing the handling of presidential records. In her previous address, Park admitted to having sought Choi's personal opinions on her speech drafts during her election campaign in 2012 and the early part of her presidency -- out of "pure" intentions. The president is also suspected of playing a role in raising funds from major conglomerates to establish two nonprofit foundations dedicated to promoting Korean culture and sports. Choi is being investigated to determine if she misappropriated money from these foundations. If she submits to a probe, it will mark a first in South Korea's history. In February 2008, then-President-elect Lee Myung-bak was investigated by an independent counsel over his alleged role in a stock-price rigging scandal. But the inquiry took place eight days before he was inaugurated. In 2003, then-President Roh Moo-hyun faced allegations that his election campaign received illicit funds from conglomerates. Roh publicly said he would accept a probe, but the prosecution desisted from investigating him in consideration of his status as head of state. Should Park undergo an investigation, prosecutors could visit her rather than the chief executive appearing at the prosecution, observers said, adding that the probe could proceed in written form. The prosecution, along with the presidential office, was initially against any direct inquiry into the president, as the chief executive is immune from prosecution except in cases of rebellion or treason. During the address, Park also vowed to frequently communicate with civil society and religious leaders, and the heads of ruling and opposition parties, and listen to demands from citizens and the National Assembly "more heavily" so as to avoid any government vacuum. In line with this vow, Park will first seek to hold talks with the chiefs of ruling and opposition parties, her office said. "The nation faces a very great security crisis, along with economic difficulties," she said. "Given the large number of various pending issues at home and abroad, we cannot afford to stop state affairs even for a moment." Pointing to public disappointment and concerns over the escalating scandal, Park said she "deeply feels the responsibility" for the scandal, which she said was caused in part by her "carelessness" and misplaced trust. "I once again apologize from the bottom of my heart for the indescribably great disappointment and worries the case related to Choi Soon-sil has caused," Park said. "My heart aches excruciatingly as (I) have left irreversible scars on citizens who have entrusted me with the authority to lead the country." Park, in addition, denied all allegations linking her to a religious cult. Due to her decadeslong ties to Choi's family, Park has been rumored to be deeply engaged in some form of shamanism. Choi is the fifth daughter of Park's late mentor Choi Tae-min. The late Choi, who used to lead a religious cult, had reportedly advised Park since her mother, Yook Young-soo, was assassinated by a North Korea sympathizer in 1974. After Choi's death in 1994, his daughter, Soon-sil, is purported to have taken her father's place -- a reason why some observers and media portray the relationship between Park and the junior Choi as "shamanistic." Rival parties reacted differently to the president's latest address. The ruling Saenuri Party said that the address showed Park's resolve to get to the bottom of the scandal. 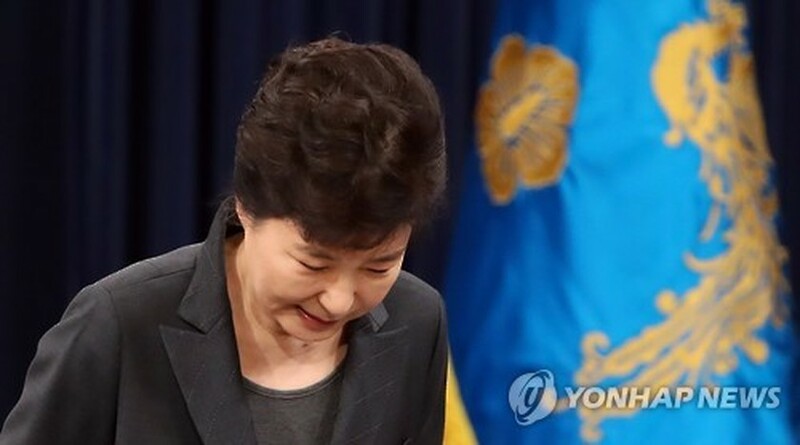 "It was Park's appeal (to the nation), which reflected her sincerity and strong resolve to put down her authority as president, verify the fact (behind the scandal) and prevent a recurrence," Yeom Dong-yeol, the ruling party's spokesman, said in his statement. The main opposition Democratic Party, however, discounted Park's speech as a mere "personal letter of apology," stressing that the president failed to offer realistic solutions to address the current political quandary. "In the speech, there was nothing at all to indicate that she is responsible for (Choi's) meddling in state affairs as well as the paralysis in governmental matters," opposition party spokesman Youn Kwan-suk told reporters. To salvage her troubled presidency and allay escalating public anger over the scandal, Park has made a series of personnel changes since Sunday. On Wednesday, the president tapped Kim Byong-joon, policy adviser to late liberal President Roh Moo-hyun, to be the new prime minister, and also picked new ministers of finance and public security based on Kim's recommendations. Park has moreover replaced her chief of staff and three of her 10 senior secretaries. But such moves have so far failed to quell calls for her resignation. Many citizens across the nation, including university students, professors, workers and some opposition lawmakers, have demanded that Park step aside. The scandal gripping the country, meanwhile, revolves around the 60-year-old Choi, whom critics portray as the "eminence grise" of the Park administration. Choi is alleged to have used her decadeslong ties to the president to meddle in state affairs, particularly in matters such as revising the president's speeches and the selection of some presidential secretaries. She has even been rumored to have influenced the appointment of certain public foundations and government posts related to cultural promotion and sports. The woman is also suspected of having exerted her will in the creation and operation of the two nonprofit foundations dedicated to promoting Korean culture and sports. She is being investigated to see if she misappropriated money from the foundations.